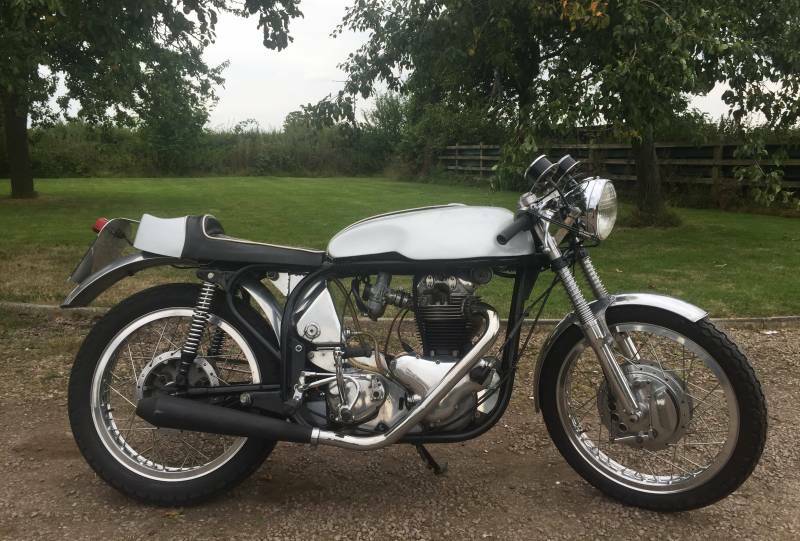 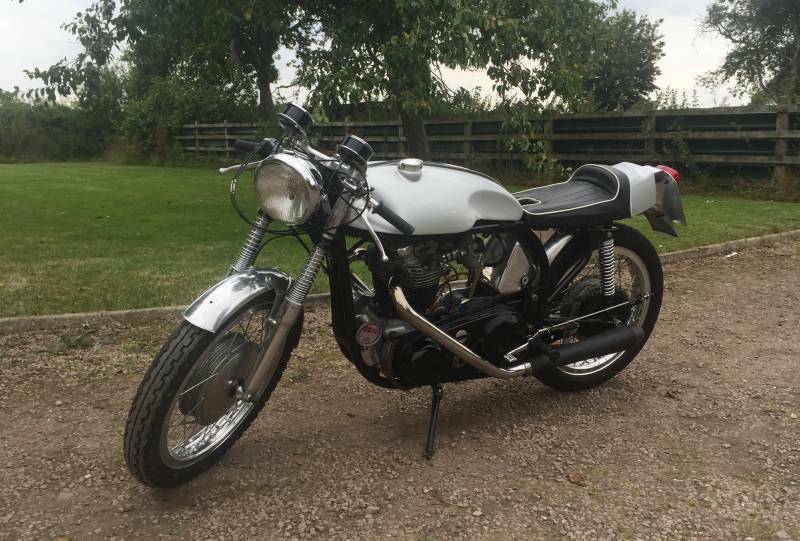 Norton Atlas 1964 750cc Cafe Racer, many Dunstall parts which include top yolk, pipes, seat, tank, oil tank, clip-ons, foot rests and some internals. 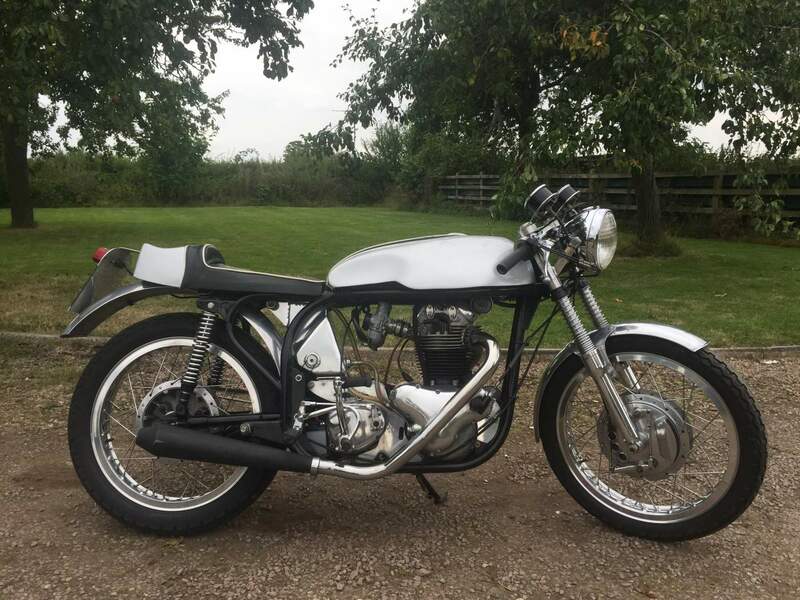 Engine has been balanced and tuned by SRM with belt drive, commando clutch and racing. 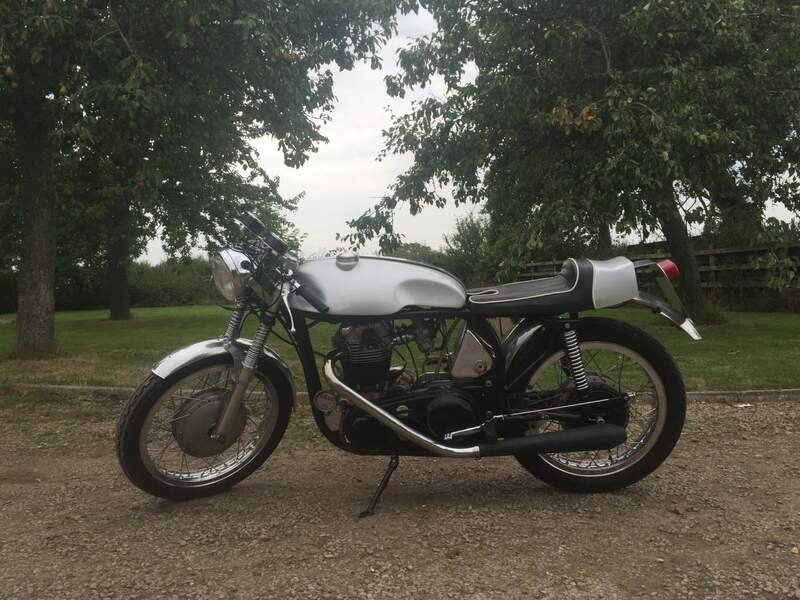 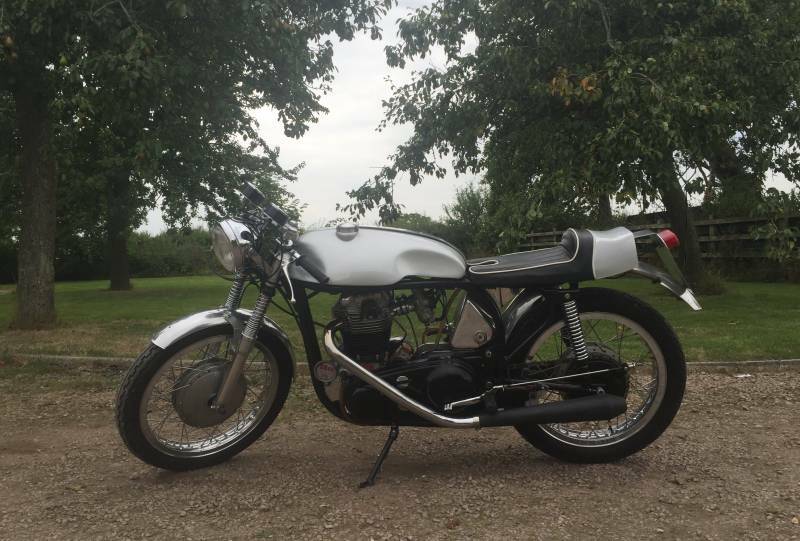 mag, TLS front brake, twin clocks, swept back pipes, central oil tank. 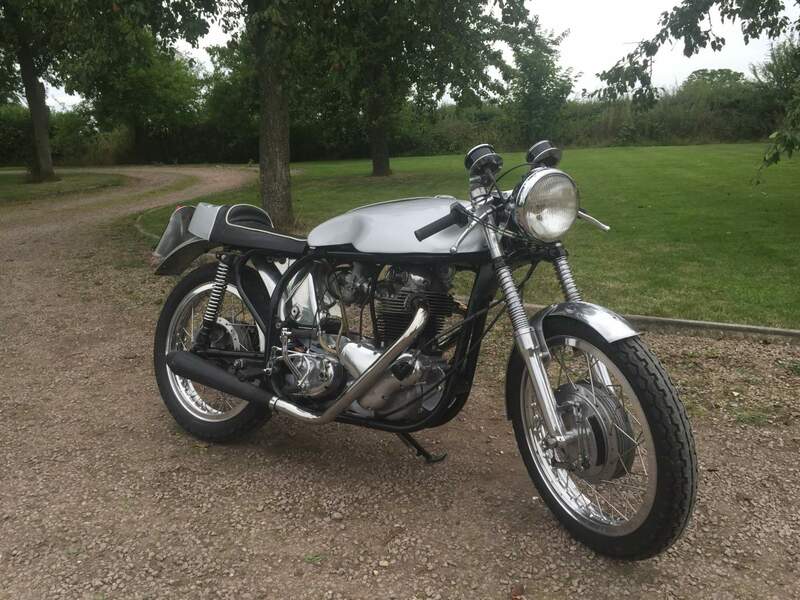 This is a high performance, very quick cafe racer with smooth power delivery and a fantastic bark that will turn heads and keep up with modern day motorcycles.